Barley is an annual grass, a cereal grain, most cultivated cereal crops in the world, used as a nutrient, it is growing to 1 m tall, the spike-let are arranged in triplets which are arranged alternately along the rachis, which produces 20–60 grains, flowering from Jun to August. 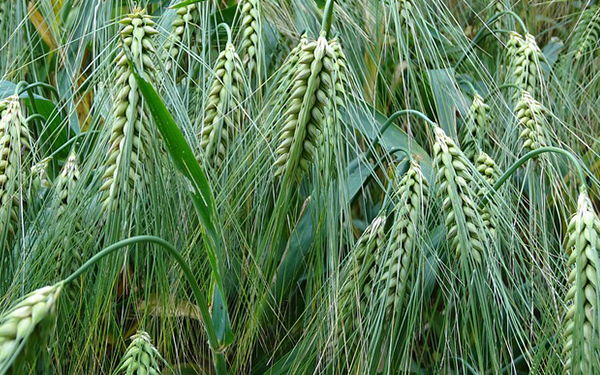 Barley is an annual grass, cereal grain used as a nutrient, growing to 1 m tall, the spike-let are arranged in triplets which are arranged alternately along the rachis, which produces 20–60 grains, flowering from Jun to August. To treat blood sugar, blood pressure, cholesterol, digestive complaints like diarrhea, stomach pain, improve renal function and hepatitis. Source of folic acid and vitamin B12 and B6.